Wow, what can I say about this diorama. I guess I'll start with the composition. This has a very classic GW codex cover feel to it. The group of Marines standing in a last stand stance with a pyramidal structure so you can see each one. It's not super dynamic, except for maybe those Death Company, but it just works. 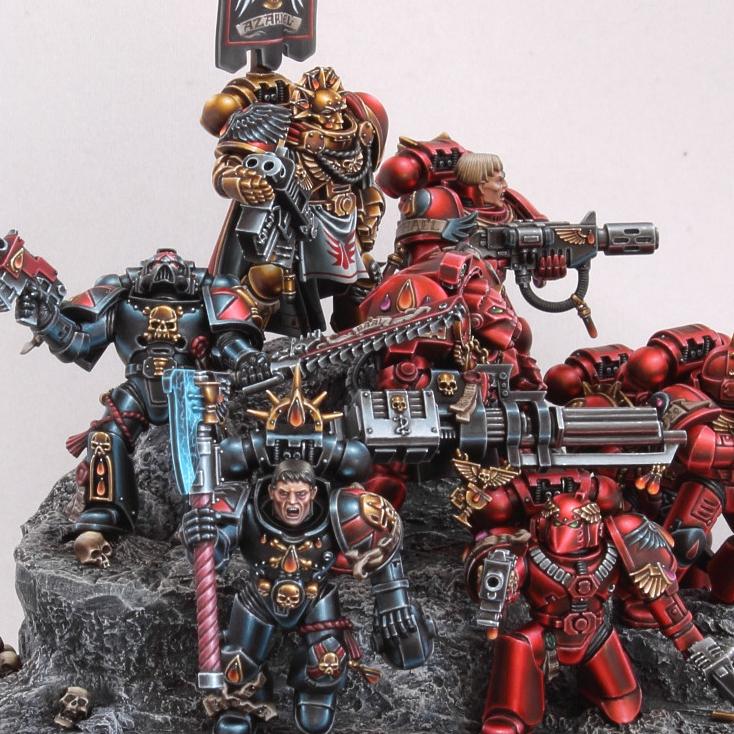 It's like seeing a classic piece of 40k art brought to life with modern models and painting techniques. The pose of the captain reinforces this even more with his super static stance. Again, nothing extremely unique or dynamic about the composition, but it just works. The painting is where this really shines. All of the reflections painted onto the armor is just outstanding. I can't even imagine how long that would take. I usually don't like when Marine armor is painted to look super shiny, but given the context of this piece it really suits it. Normally I think Marine armor should be more matte and worn in looking, but seeing as how this really evokes the feeling of a traditional 2D painting by GW the shininess works. By painting the armor a mix of the standard Blood Angel red, Death Company black, and commander gold it's almost like we are getting the entire Chapter in microcosm. There's even a Terminator thrown in there so the veterans are represented. 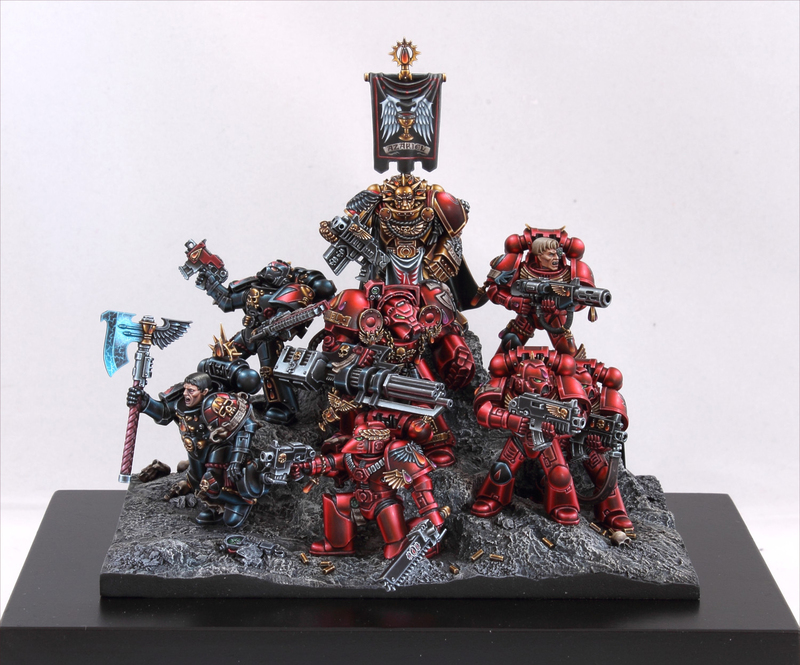 If you had to show someone one model/diorama to explain to them what the Blood Angels are, this would be it. I would love to see this hobbyist take on other Chapters in a similar manner, especially now that those Chapter upgrade sprues have come out. Maybe Dark Angels next?